Sam Shankland is one of the world’s leading experts on the Sicilian Defense, having played this highly complicated opening for many years with both the white and black pieces. Shankland achieved the IM title by tying for 1st at the 2008 World U-18 Championship, and proceed to win the 2010 USA Junior Championship on tiebreaks ahead of Ray Robson and Parker Zhao. Shankland earned the Grandmaster title in 2011 after winning his 3rd GM norm the Berkeley Invitational that same year, firmly establishing himself as an elite player at the age of 20 years old! Sam Shankland’s extensive experience with the Sicilian Defense at top levels, combined with the exceptional quality of his communication skills and presentation make this chess DVD really stand out from the rest. 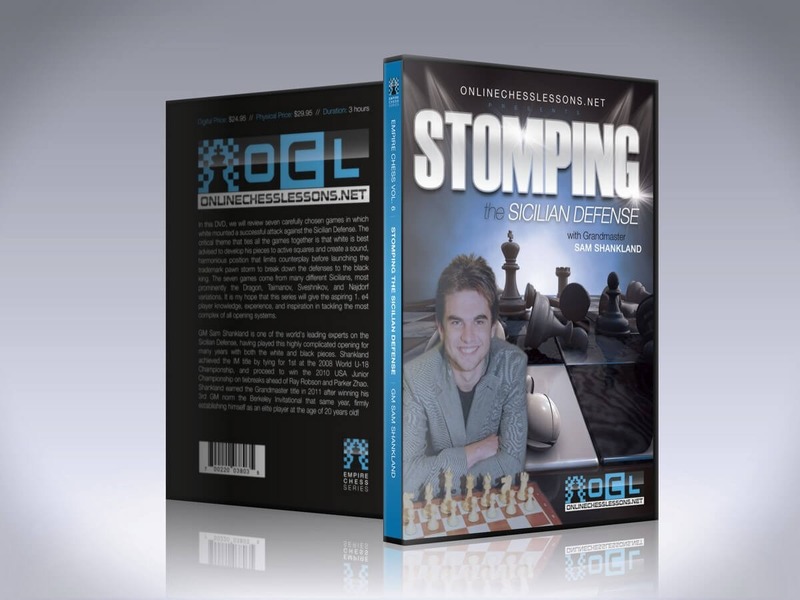 ¨Stomping the Sicilian Defense¨ is a 3+ hour chess DVD that is guaranteed to improve your results with white against the Sicilian.